Adam Battelstein is a teaching artist at Arts for Learning Connecticut where his programs focus on teaching science through dance, connecting the language of dance with literary and poetic storytelling devices, and a wellness program that uses dance and interactive scenarios to help kids make the right dietary choices. 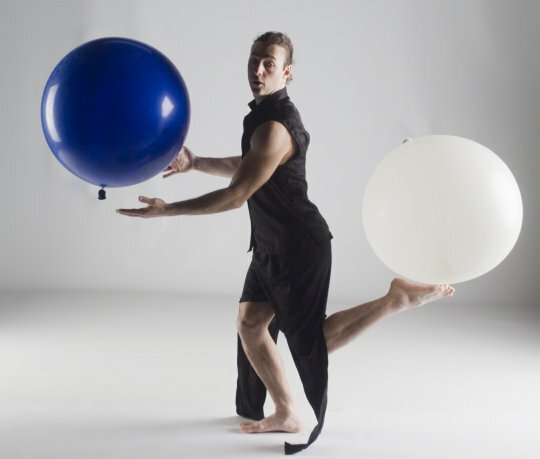 He has toured nationally and internationally with companies such as Pilobolus and Momix. He is a Master Teaching Artist for the state of Connecticut and has been involved in educational outreach around the United States for many years. Image: From Adam Battelstein's LocoMotion program. We will be tuning in and rooting for Adam and everyone at Catapult!